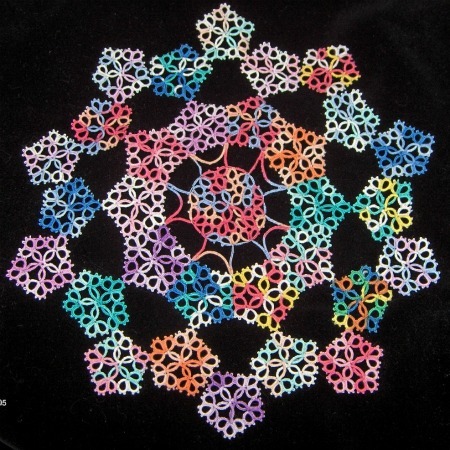 Do you keep track of the tatting projects you make? I like to, and I like to keep them somewhere pretty. I ran across this fabric journal recently on Ro Bruhn’s Art: My Life in Color, and am enchanted. What do you think of this fabric journal? Does it inspire you toward something else that you would like to make? Take a look at several of her journal pages. Here is one of the pages that features some lace. 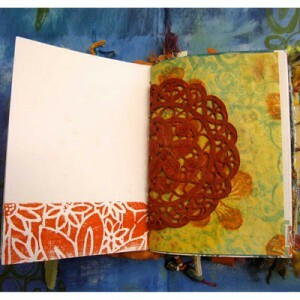 Would you make a journal in fabric or paper or a combination? How would you decorate it? What would you put in your journal? Photos? Actual tatting? Something else? What other ideas does this lead you to? If this inspires you to create something, I’d love to see it! Upload a picture of your creation to your blog or an online gallery so we can all see what you made, then leave a comment here with the direct link (not your entire blog). Don’t forget to link back to Tatted Treasures so more people can join in the fun! This is absolutely gorgeous! 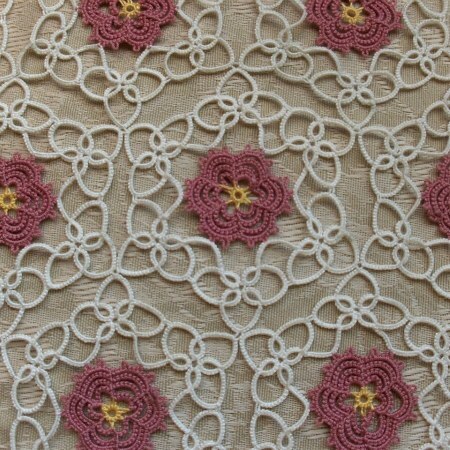 I also love the tatting pieces you have created. Utterly fantastic!! I would love to make this type of journal just for all sewing, embroidery, cross stitch, tatting, and crochet achievements might have! Like when figuring out a really difficult pattern I might put my original in it. 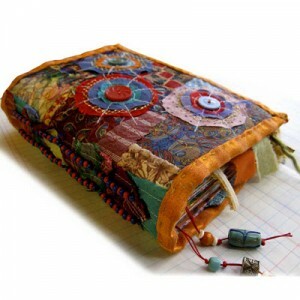 🙂 I saw one beautiful journal like this done in all fabric, It would be quite a feet!